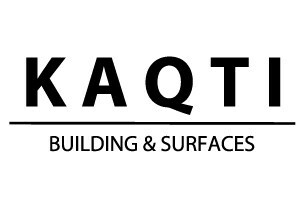 KAQTI | Building & Surfaces - Builder, Plasterer based in Worcester, Worcestershire. We are specialists in plastering, rendering, tiling, internal reconfigurations and painting & decorating services. When it comes to your redecorating projects, you don't have to worry about having to deal with a number of different trades. You only need to work with us. We can prep your surfaces, replaster and decorate or simply give your walls a pick me up. With over 9 years experience we have built up the knowledge and level of expertise that you would want your tradesmen to have when carrying out work at your home or commercial premises. Friendly, professional and considerate - we aim to provide you with the best service and products at great value for money. Protection and cleanliness are high on our priority list, which is why we take all precautions in protecting your fixtures and fittings. This way, we can leave your property clean and tidy with the minimal amount of hassle. We can undertake simple skimming works, to more complex internal reconfigurations, where we can alter a layout to match your wishes. Every client is handed a feedback form when their job has been completed. This way, we can show you that we are fully accountable for our work and you can sleep easy knowing that. Contact us now on: 07850 646763 or at [email protected] for your FREE, NO OBLIGATION QUOTE and we can talk about your up and coming project and we will be more than happy to talk about it with you and give our advice.